Let us take care of the secure storage and management of your paper records and provide you with a digital conversion service as and when requested. Physical records often need to be efficiently scanned and exported by electronic delivery to a variety of different locations. Digital document conversion is an advanced solution for expedient and secure delivery of documents to any recipient across the globe. Customers with remote locations or field employees can easily receive files without frustrating delays. Similarly, documents required by certain business operations or customer service desks often need simple, secure access to scanned items. Almost all companies will, at some point, experience a crisis. Disaster planning is a fundamental strategy for many businesses and storage of physical records is essential should a crisis arise. Sometimes several different locations for storage are used. Digital document conversion is an ideal solution for rapid access. Let us know when you have files to be scanned. Your files will be prepared ready for scanning by removing staples, clips etc. Your documents are digitized into our system and the originals returned to their boxes. Your digitized files are then indexed according to how you would like to search for them. We then email, save to hard-drive or ready for the cloud. Still not sure or have more questions? Some of the benefits you get include a saving in space, speedier retrieval of information, better accessibility enabling you to work from pretty much anywhere, improved control of who has access to your information and much more. What type of documents can I scan? 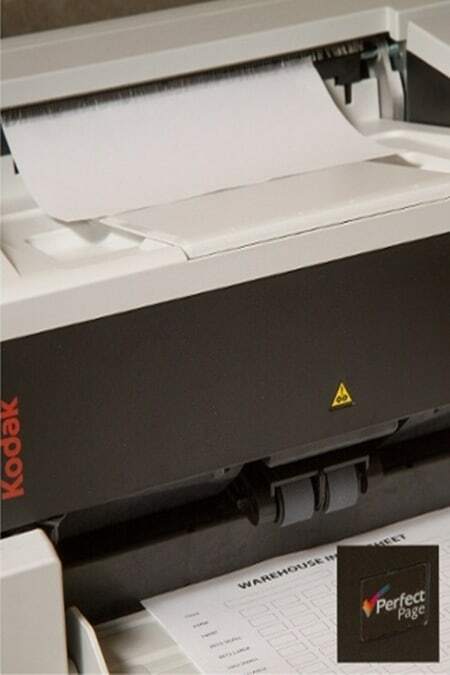 We can scan anything from a postage stamp upto a maximum size of A3 in colour or black and white. What happens to the original document once it's scanned? Once all your documents have been scanned and checked for accuracy we return everything to you. If you do not need to keep the documents any longer then we securely shred them. It is also much more acceptable to show a scanned document if required to the Local Authority, Courts and HMRC as proof in many cases as long as they have been carefully scanned and managed. TipTop Media have been accredited to ISO 27001:2013 level so we would tick all the boxes above. How easy is it to find a document once it's scanned? Just search for any word or phrase and a list containing those words/phrases will be shown leaving you to pick the document you want.